PORTLAND, Ore. — Lisa Schmaltz was driving down the road, minding her own business, when it happened. "You hear this loud... like a gunshot, and look around like kind of thinking, 'I was in a wreck, somebody hit me, or a wreck next to me,'" she said. But that wasn't the case. No gunshot. No wreck. No one hit her. “No, it was my sunroof.” Schmaltz said her sunroof spontaneously exploded. She couldn’t believe it. Tracy Lenczowski is the owner of Rose City Sunroofs. He's been in business for decades. Lenczowski said spontaneously exploding sunroofs may be hard for some of us to believe, but not him. "It happens a lot more than you think. You'll be driving down the road, it'll pop!" Lenczowski said he’s seen a lot more of them explode in recent years. Consumer Reports says there have been close to a thousand complaints, on hundreds of models from dozens of automakers. Schmaltz was driving a brand new Audi. I'm not sure what, exactly, fuels the fascination with sunroofs, but I don't like them and never have. Here's another reason to avoid them. They question why the money isn't being pledged to house the homeless in Paris. But many people are wondering why France’s richest men have suddenly found enormous amounts of spare cash to pay for a church roof when thousands of people are living without shelter on the streets of Paris. London (CNN) New research shows that cases of diseases more commonly associated with the Victorian era are increasing in the UK. Since 2010, hospital visits for scarlet fever, malnutrition, whooping cough and gout are up 3,000 per year, representing a 52% increase. MOORE COUNTY, N.C. – Five cases of pertussis – also known as “whooping cough” – were confirmed at schools in Moore County on Monday. And of course, we have the great measles outbreaks here in the Pacific Northwest. The common denominator: the anti-vaccine nuts. It's interesting that those folks have, for the most part, themselves been vaccinated, yet seem to have no issue with exposing their children to life-threatening diseases. Something is really wrong with them. "London is known as one of the highest consumers of cocaine and this suggested everyday usage." "This" being that effluent tests have shown stable concentrations of cocaine and its metabolites on a daily basis, whereas when effluent from other cities is tested, levels fluctuate and generally peak on weekends. Eels in the Thames are said be becoming hyperactive because of cocaine levels. Unsurprisingly, those who make their living stoking fear and worry in regard to human activities are now claiming that when Londoners use cocaine and later pee, it causes suffering in wildlife, as evidenced by the hyperactivity of eels in the River Thames. Those folks should bear in mind that a single correlation does not equal causation. While any number of good reasons to avoid the substance come to mind, an unproven conclusion that it causes local fish to suffer seems a bit over the top. 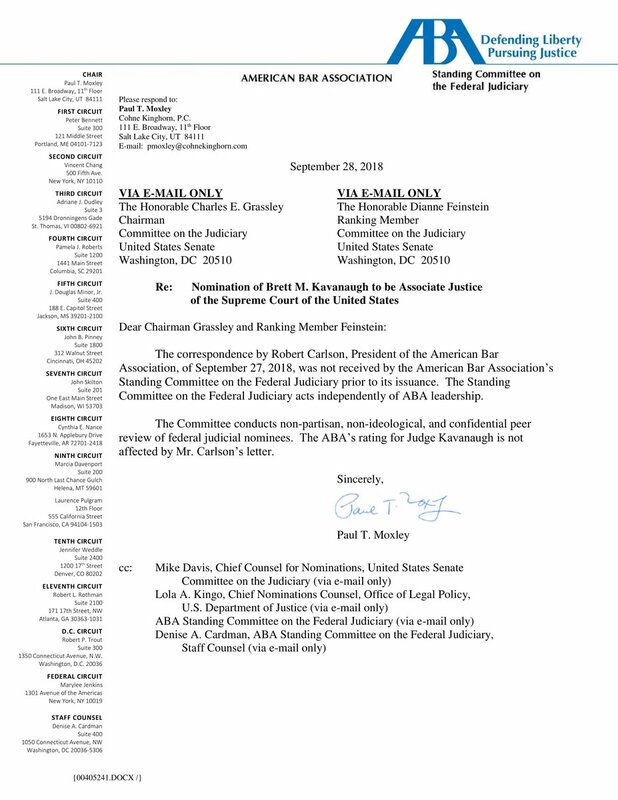 In other, other words: the "ABA" letter sent by Bob Carlson was simply the latest injection of fake news into the proceedings - and the media. Josh Collins and his wife, Jessica Salazar Collins, were notified by Bank of America that Josh, who was born in Wichita, had to prove his citizenship. They thought it was a scam until the bank cut off access to their assets. The Collins family, Joshua Collins (from left), Jessica Salazar Collins, Trinidad Collins and Josh Collins live in Roeland Park. They've been banking there for 20 years, but it took several days and a trip to the bank to get access to their money restored. In the interim, the family apparently had several autopay accounts, only to find that B of A had wiped them. The family plans to move to a different bank. Bank of America said it was standard practice to ask about citizen status when opening a new account or updating customer information on an existing one. But according to the California Bankers Association, the largest state affiliate of the national association, questions of citizenship are not federally required. “Not to our knowledge,” said the spokeswoman, Beth Mills. B of A's hardly the only game in town. Gov. Kate Brown, U.S. Sen. Jeff Merkley, U.S. Sen. Ron Wyden, and U.S. Rep. Suzanne Bonamici, all Democrats from Oregon, asked the Office of Refugee Resettlement for permission to tour the Morrison Child & Family Services building where immigrant children are being held. They were denied, of course, but hey, they got press out of it! The only thing that's transparent about them is their hypocrisy. It wasn't a big deal to any of them when Obama's administration held 89,000. The denial comes a month after Merkley live-streamed his failed visit to a detention center for immigrant children in Texas. They're only in it to feed the media. Gray wolves from the radioactive forbidden zone around the nuclear disaster site of Chernobyl are now roaming out into the rest of the world, raising the possibility they'll spread mutant genes that they may carry far and wide, a new study finds. Just what's needed: another fear-mongering story. The animals seem perfectly normal, and nobody's bothered to compare their genetic makeup with control gray wolf representatives, so they don't really know doodly-squat about that; all they know is that wolves are starting to leave the reservation - as are likely a range of other animals. The latest one from the control freaks: ban plastic straws. Because Environment. Everybody knows that they only get used once and are then thrown away, so they should be banned...except that I've re-used them for years; they're easy enough to clean, pipe-cleaners and soap and water work really well. They also stand up well in things like milk-shakes. But the control freaks know best. They always do; it's a hallmark of liberalism. It's a big reason why Portland City Council banned plastic bags - a few years after mandating them because using them would save trees, and harvesting trees is Very Bad. Then they decided that plastic bags were Very Bad - because Big Oil. Never mind that the bags aren't produced from oil at all, but rather from a by-product of natural gas drilling that had previously simply been burned; "flared off", in the industry vernacular. They're produced from waste, in other words. But now stores in Portland are prohibited from offering them, which is a great reason to shop in Beaverton or Tigard. In Portland today, you either have to purchase cloth bags, or hope your paper bags don't disintegrate in the rain. But the politicians sure feel good about themselves and their commitment to the environment. An estimated 500 million straws are used in the United States every day. This number is enough to fill over 127 school buses each day and is calculated to be about 1.6 straws per person in the U.S. In a summary of all trash collected as part of California’s Coastal Cleanup Day between 1989 and 2014, straws and stirrers rank as the 6th most common item collected. The statistic is often attributed to the U.S. National Park Service (which did reference it in a 2013 environmental call for action), but the 500 million figure ultimately rests on the word of 16-year-old Milo Cress, who launched a campaign in 2011 (at the age of nine) called Be Straw Free. Could be right; could be wrong, nobody's ever fact-checked the kid's claim. Or Calderon's claims, for that matter. But Calderon wants to essentially ban plastic straws in California. Next up: banning plastic knives and forks, most likely. As is so often the case, these things metastasize into other places, which is occurring in parts of Portland, Oregon: Widmer Brothers Brewing, purveyors of fine craft-produced mule pee, have announced that they will ban plastic straws at their bar. Although why anybody would drink mule-pee with a straw remains unclear. But Widmer's a Portland operation; I'd never visit there, and don't buy their products elsewhere. The usual warnings about the impending "big one" are being frantically peddled again. A new study from California says that the cluster of tremors around the planet's so-called Ring of Fire- a horseshoe-shaped geological disaster zone - could indicate the "big one" is due to hit, the Mail Online reports. We got the same stuff after Mt. St. Helens blew here - and with every ensuing eruption came more dire predictions that "the big one" was on its way any day now. Not to put too fine a point on it or anything, but the fact of the matter is that when it comes to most natural phenomena, the so-called experts seem to know less than my dog. But my dog doesn't rely on government grants, so he doesn't sound off much, unless the mailman shows up or something else he deems important occurs.